Language is a means for a person to recognize the world and put across their experiences. Learning a foreign language, enables a student to solve problems and take a critical approach to subjects. The behavioural competence of a person, enables them to go past their own language; and contributes to the interaction between cultures by including the culture of the students to date. If we consider the proverb “One language, one person.”, in our globalized world learning a second language is inevitable. 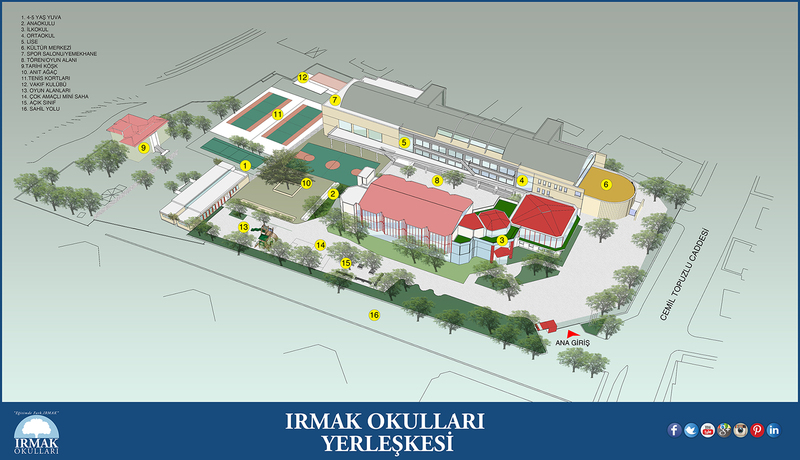 From 5th grade at Irmak Schools our students select one of the languages of Spanish, German or French in addition to English, and by the end of 8th grade they reach the A2 level determined by the European Language Criteria. Our goal in two foreign language education, is to create an interest in students towards learning languages, to bring the students closer to the culture of other countries, to increase awareness between cultures and to exchange ideas with those around them. In addition to being a school partner of the TELC, an international exam, our students have the knowledge at the end of 6th grade to take TELC A 1 Junior exams, and at the end of 8th grade the TELC A 2 exams. The ability to correctly write short simple sentences, postcards, the ability to complete simple forms such as hotel check-in forms, the ability to write their thoughts and verbal expressions correctly in terms of grammar, the ability to write short texts suited to their level of listening. This page was created on 8.2.2017 10:45:01 and has been visited 1137 times.